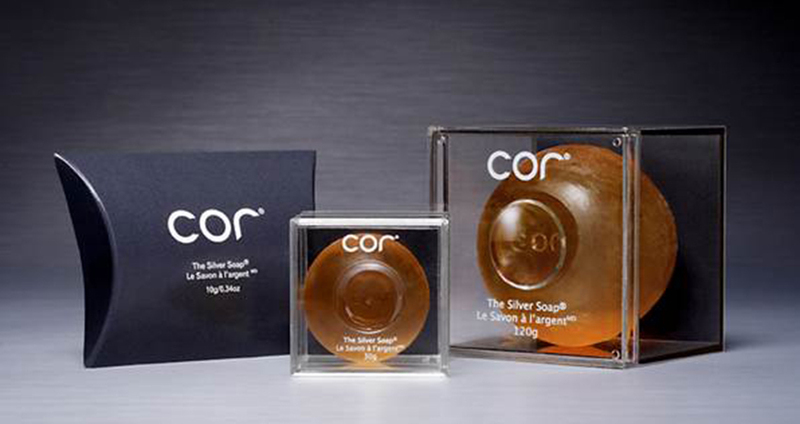 Cor Silver Soap is the absolute best face cleaning and moisturizing soap! Try it and you'll see – it's easy to use and gets results fast. 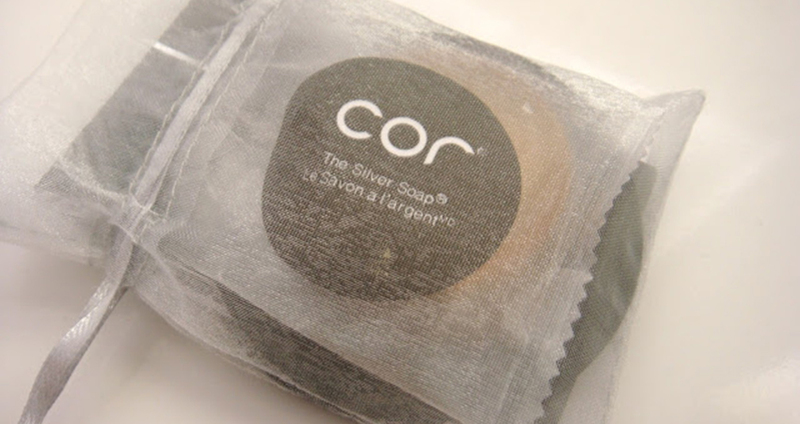 Cor is simple to use but works differently from a regular old bar of soap. In fact, rather than thinking about it as soap, think of it as a creamy, foaming cleanser, which is activated by water. This is also why we say the soap lasts so long because when you apply just a small amount of water to the soap it will create a creamy foam. You don’t need to rub the soap directly on your face, and you need just a small amount of Cor for each face wash.
Start by producing enough foam to apply to your skin. Do this by splashing water on your hands and face. Then take the soap between your hands and rub for about 15 seconds until you have some foam on your hands. Set the bar of soap down and continue to rub your hands together until a nice, creamy foam has been worked. That’s it! Simple. You can leave Cor on your face while you are brushing your teeth or are washing the rest of your body or hair in the shower. 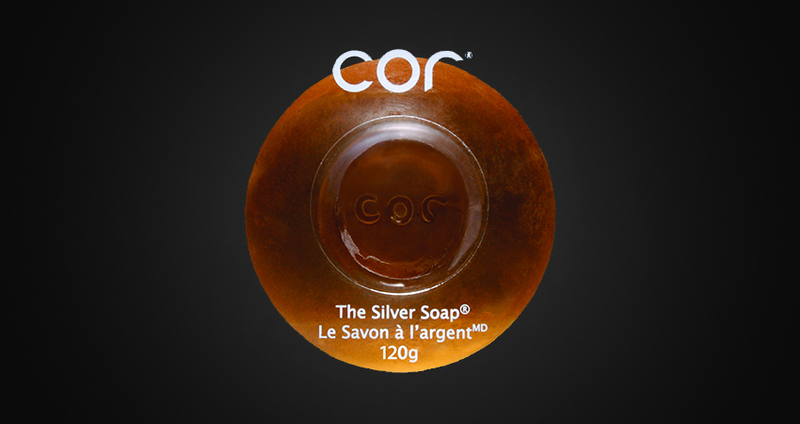 Cor Soap will make your face cleaner and healthier – simply beautiful – with a short daily regime. Cor removes makeup brilliantly and has been shown to even out skin tone, reduce the appearance of sun spots and pore size, maintain the skin’s natural moisture factor, visibly reduce the signs of aging, and protect against the hazardous effects of the sun. Cor soap is the best remedy for cleaning the face, which can be bought for money. In addition to the Silver-Silica combination, each product is layered with nourishing ingredients, such as: the Uber-Compound CSC, Peptides, Hyaluronic Acid, Pomegranate Extract, Vitamins, Aloe, Jojoba… the list goes on. • Marine Collagen starts to disappear at the rate of 1.5% per year in adulthood. Cor’s soap contains Marine Collagen, one of the best sources of renewable Collagen which can add a more youthful appearance to your face. • Chitosan is a natural fibre that acts to even out skin tone. Used in the dieting industry, it can absorb up to 6 times its weight in fat and on the skin, Sericin washes away the unwanted oils. 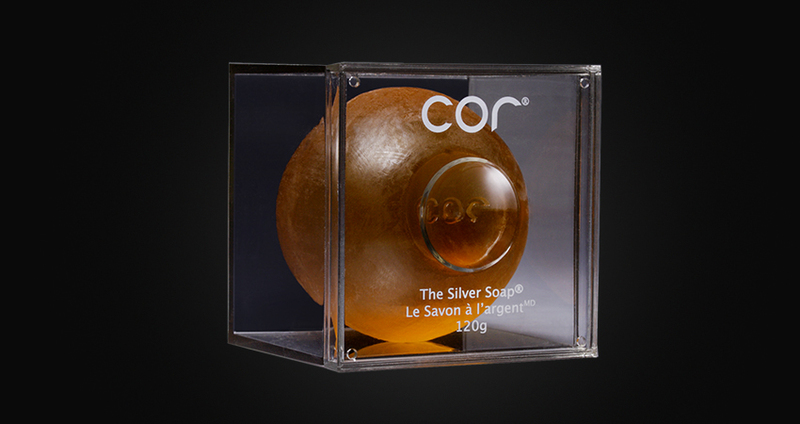 Cor’s Silver Soap balances out the skin’s oil levels, especially in trouble areas like the T zone. • Sericin is a natural, soluble protein made from silk. Highly moisture-binding and film-forming, Sericin has film-forming abilities which protect the skin against the harsh effects of the sun. • Jojoba and Aloe have soothing properties while Avocado provides the Vitamins A and E. All these ingredients are necessary for healthy skin. • CSC Compound: Collagen, Sericin, and Chitosan comprise the uber-compound unique to Cor, developed using the latest beauty technology from Japan. The molecules of CSC are broken down into their minutest size to ensure delivery, absorption and performance upon reaching the target layer. • In addition, Hyaluronic Acid is a wonderful humectant which has been shown to hydrate the skin, allowing it to appear smoother and more radiant. Clinical studies have shown that it also helps wounds heal more quickly, and can reduce the appearance of both old and new scars. Cor soap is a convenient, single step process that cleanses and removes make-up. It has been shown to even out the skin tone, reduce the appearance of sun spots and pore size, maintain the skin’s natural moisture factor, visibly reduce the signs of aging, and protect against the hazardous effects of the sun. The experts agree. The year it was launched, The Silver Soap was named the Winner of Self Magazine’s 2007 Health and Beauty Awards for Best Normal Skin Cleanser and Improper Bostonian’s Best of Boston 2007. You may feel a slight tingling sensation while the foam is on your face or find that your skin becomes a little tight feeling during the first days of use. Don’t worry, this is normal. It isn’t drying – the nourishing and moisturizing ingredients such as Hyaluronic Acid, Aloe, Avocado, Jojoba and Sericin are working to hydrate your skin. Cor is a very deep cleanser due to the use of nano-technology, and so it may be that your skin needs time to adjust. (You can read more about our natural ingredients and patented delivery system on The Science of Cor page. Cor soap is a multi-tasker – you can clean, exfoliate, and hydrate with Cor – so you do not need to use an additional exfoliator or a toner. In fact, DON'T use a toner. If you do, you will not get the full benefit of The Silver Soap, as the toner will strip away the lovely sericin protective barrier. So, after rinsing the foam off and patting dry the skin, use one pump action of either the Cor moisturizer or the serum and apply all over your face. Given the lightweight texture, you will find that one pump will smooth nicely across the entire face. Use one pump action of the eye cream and gently dab that around the delicate eye area. You might also want to use the eye cream on the fine lines around the lip area and even the deep furrows that some people develop between the eyebrows. If you are using both the moisturizer and the serum, layer the serum on top of the moisturizer. That way you will have a beautiful, silky foundation primer and you will be locking in the moisturizer. If you live in a humid climate, you may want to just use the serum alone (without the moisturizer) for its hydrating benefits and matte, refreshing feel.